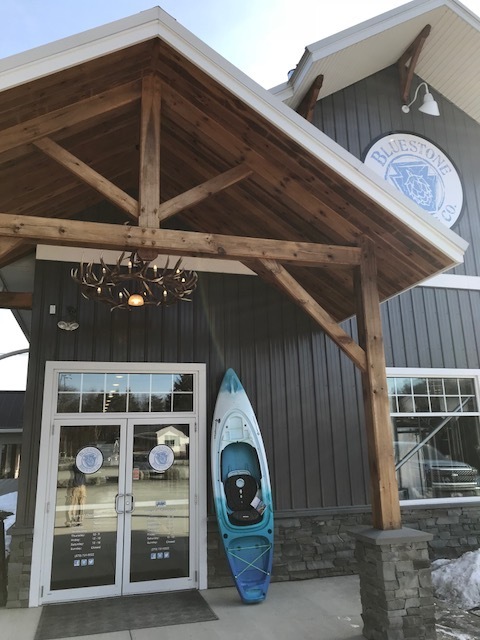 Kayak Giveaway — Bluestone Brewing Co.
We are proud to announce a collaboration with Route 96 Power and Paddle in Candor, NY. We are offering this Perception 9.5 Kayak to one lucky winner on Saturday, March 30, 2019 at 9:00 pm. As part of our culture from the business planning stages, we want to support the local business community and be involved in the beautiful outdoors surrounding our area. This kayak giveaway just makes sense for us!! It has plenty of rod holders and attachment opportunities, along with ample cooler space. - No purchase necessary; just come in to the Brewpub on Monday, 3.11, 3.18, 3.25 and/or Sat, 3.30. One ticket/person each day will be given. - Must be present at Brewpub on Sat, 3.30 at 9:00 pm for the drawing/winner to be announced. Per state laws, the drawing and exchange of prize will be conducted at Hampton Inn property next door. - Sweepstakes entrants must be 21 years of age or older. - No alcoholic beverages will be given away as part of the prize. - No employees or owners may win the prize. Jim, the owner of Power and Paddle in Candor, NY is also extending a 10% discount offer to the winner on all accessories for this kayak at his place. If you have never been there, it’s unbelievable – a true man’s land ;) 500+ kayaks and accessories in stock, a building of power and lawn equipment, and a building of boots and shoes.